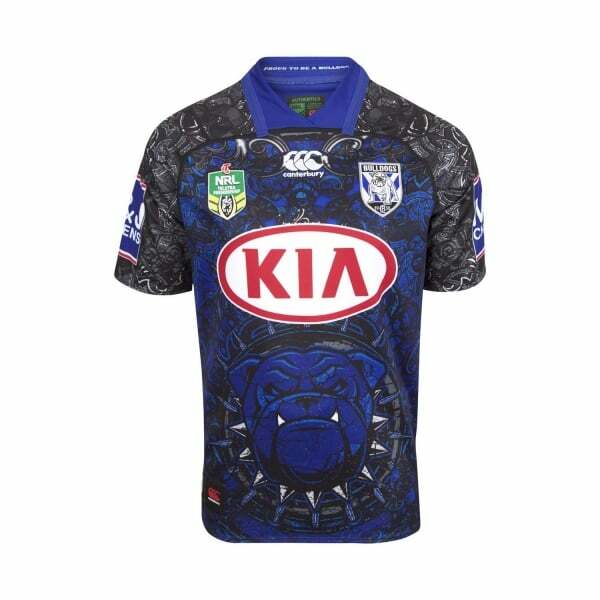 For the Canterbury Bulldogs fan that likes their jerseys to be fashionable, this special edition jersey is not only fully licensed, but it comes with a distinct, artistic pattern across the entire top. - CONTRAST 92% polyester, 8% spandex 270gsm. Cheer on your team in style with this fully licensed 2018 jersey, manufactured to the highest standards by Canterbury. The jersey features embroidered team and sponsor logos on the front, with all other logos sublimated into the design, which gives it an impressive, premium look. Additionally, the 100% polyester jersey also has the Bulldogs’ iconic symbol patterned onto it in a stylish, fashionable manner. This might not be what the players wear onto the field, but it is something fans will be proud to wear! It also features Canterbury’s Vapodri technology, which helps regulate sweat while exercising, and makes this jersey ideal for workouts as well as cheering on your team.